Due to legal trouble in Pakistan, the "Afghan Girl" now faces up to 14 years in prison. 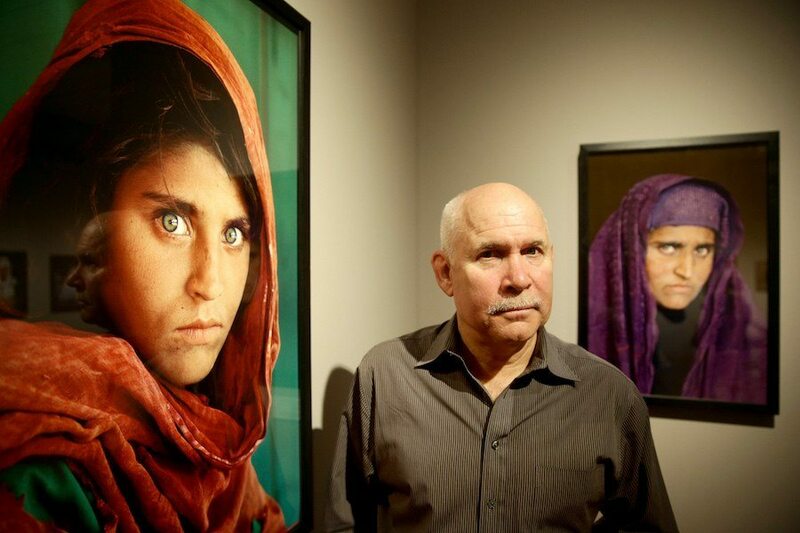 ULRICH PERREY/AFP/Getty ImagesPhotographer Steve McCurry poses next to his iconic photos of the “Afghan Girl,” Sharbat Gula. 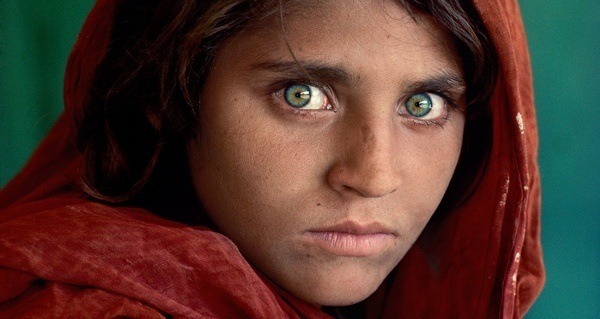 When a legendary National Geographic cover makes your face among the most recognizable in the world, it’s hard to pass off a fake ID — but that’s precisely what the “Afghan Girl” was recently arrested for doing. Pakistan’s Federal Investigation Agency (FIA) just released a statement saying that they raided the Peshawar home of Sharbat Gula — a.k.a. the “Afghan Girl” — on Wednesday and charged her with possessing a fake Pakistani identity card. Gula achieved worldwide notoriety when National Geographic put her face on the cover of its June 1985 issue. At the time when photographer Steve McCurry snapped the iconic image, Gula had been seeking refuge in Pakistan after Soviet bombings in her native Afghanistan left her parents dead. Now, Gula is once again receiving worldwide attention for trying to make a life for herself in Pakistan. If convicted of using forged documents to live in Pakistan, as the FIA now claims, Gula faces a $5,000 fine and up to 14 years in prison. While this may be Gula’s most serious run-in with the law, it’s hardly the first. Last year, Pakistan’s National Database and Registration Authority (NADRA) revoked Gula’s national identity card after reports surfaced that she had falsely listed two Pakistani men as her sons in order to get her credentials. According to a source in NADRA, falsely listing names of non-relatives as children as a way to get Pakistani documents is a common practice among Afghan refugees, as they travel between the two countries depending on how safe each country is at any given time. FIA Investigator Shahid Ilyas said that the officials who issued Gula her fake ID card were later fired and that Gula had been living in hiding since the ensuing media uproar in order to avoid arrest. Unfortunately for Gula, with a face that famous, it’s hard to hide for long. Next, have a look at the eight most iconic National Geographic photos, before checking out 25 unpublished photos straight from the magazine’s incredible archives.